These low carb mustard cocktail sausages are made in the slow cooker and are perfect for parties! 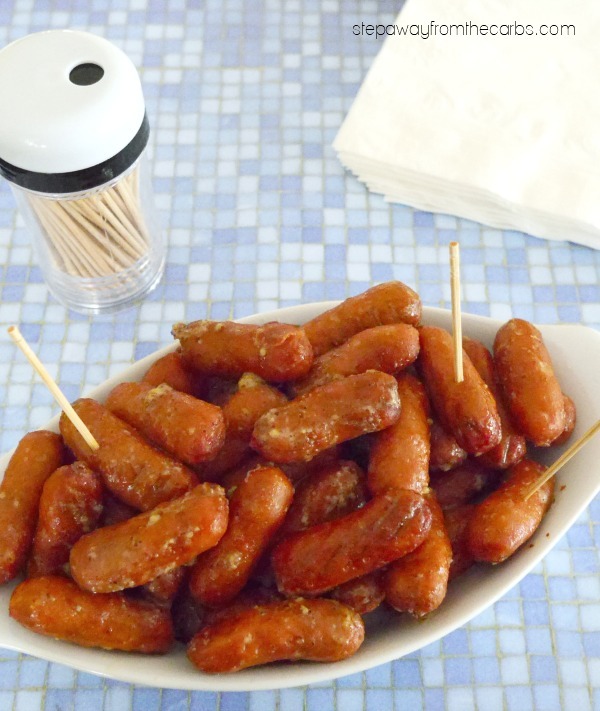 If I’m at a party I love to see a big bowl of cute cocktail sausages. But invariably they are covered in sugary barbecue sauce and the carbs really start to add up. 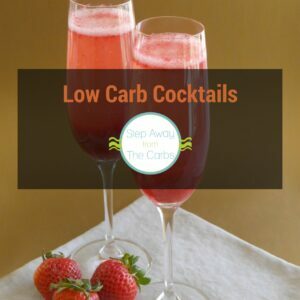 This super simple recipe keeps the carbs down and only uses three ingredients – plus it is made in the slow cooker which makes it VERY easy to serve them warm at the party. Give your slow cooker a light spray with non-stick spray. I use a small 3-quart one which works well for this recipe. Add a pack of sausages (I use Hillshire Farms Lit’l Smokies but any type will do as long as the carb count is low) and then some wholegrain mustard and low carb sweetener. Switch the slow cooker to the “keep warm” setting if has one until you are ready to set the food out for the party. 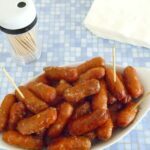 Use a slotted spoon to remove the sausages – they will have produced a fair amount of liquid and I think this method of cooking them really intensifies the flavor once that water is removed! Place in a serving dish and provide toothpicks or mini forks. Lightly spray a small slow cooker with non-stick spray. Add the remaining ingredients to the slow cooker, and cook on high for 2-3 hours, or low for 4-5 hours. Stir half way through cooking time. Use a slotted spoon to remove the sausages and place them in a serving dish.